Species: Smallmouth Bass, Cutthroat Trout, Rainbow Trout, Yellow Perch. Thanks to The Angler's Atlas for lake information. A calm summer evening on St. Mary. 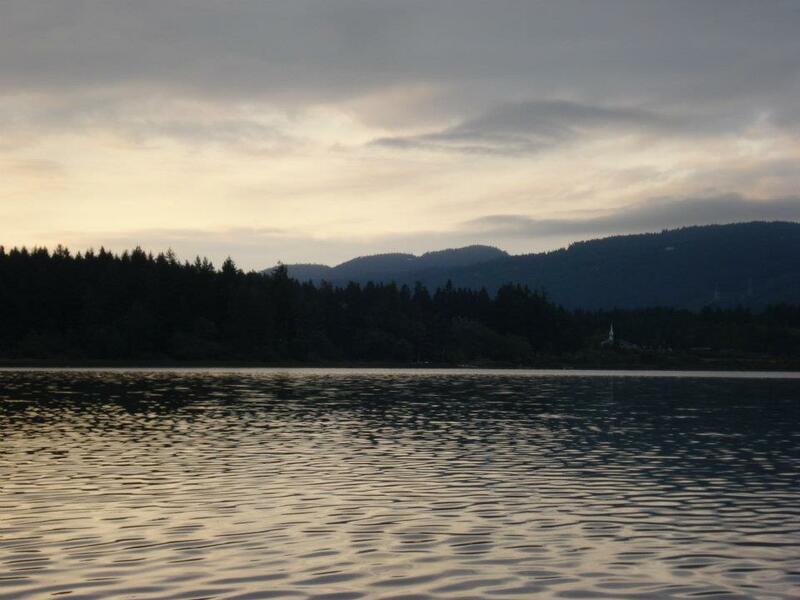 St. Mary Lake on Salt Spring Island was stocked with smallmouth bass in the 1920s when a handful of lakes on Vancouver Island were chosen. Since then the smallmouth have lived in harmony with a thriving rainbow and cutthroat trout population, with both species topping 5 pounds in size. Salt Spring Island is a beautiful spot to fish, and the lake receives little fishing pressure despite being a popular tourist spot. There are several resorts on the lake which rent out rowboats, canoes, kayaks and even paddleboats, namely St. Mary Resort and Maple Ridge Cottages. stmarylakeresort.com - Rents paddleboats, rowboats and canoes. mapleridgecottages.com - Also rents rowboats, canoes and kayaks. Getting to St. Mary Lake can be a bit of a hassle, as anglers coming from the mainland have to first take a ferry to Vancouver Island (Duke Point is the closest ferry) and then another one to Salt Spring Island. The ferry costs can be expensive, as much as $150 each way if you're bringing a boat trailer over, so it's a good idea to rent a boat at the lake if you'd like to save money. 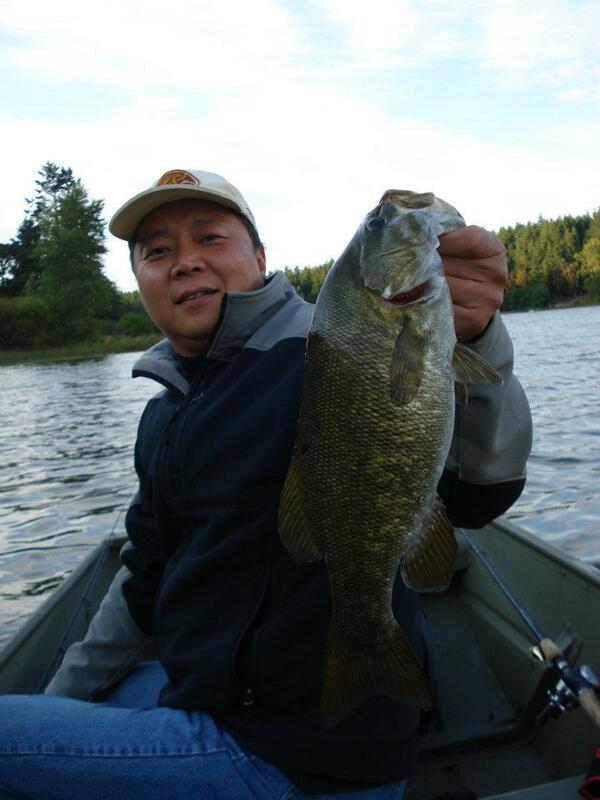 Bass enthusiast John Kim holds up a chunky St Mary smallie. St. Mary Lake smallmouth bass can be very aggressive feeders, especially in the months of June through August. During this time they will recklessly attack topwater lures such as poppers, buzz baits, and Zara Spooks. While many lakes have good topwater fishing in the mornings and evenings, the St. Mary bass will hit them all day when the conditions are right. Back in 2005, I was fishing a club tournament with my good friend Chris Blake on St. Mary. We cruised around the lake catching fish after fish off of the shoals and rocky dropoffs of the lakes. While we were enjoying some good success we couldn't help but notice how fish kept rising in the middle of the lake. I figured they were trout enjoying some kind of hatch, but didn't think much of it. We caught a lot of 1 to 2.5 pound bass, but were having a tough time catching anything bigger. Finally, it was time to go back to the launch. We started back across the middle of the lake, right towards the rising fish where the lake was over 40 feet deep. 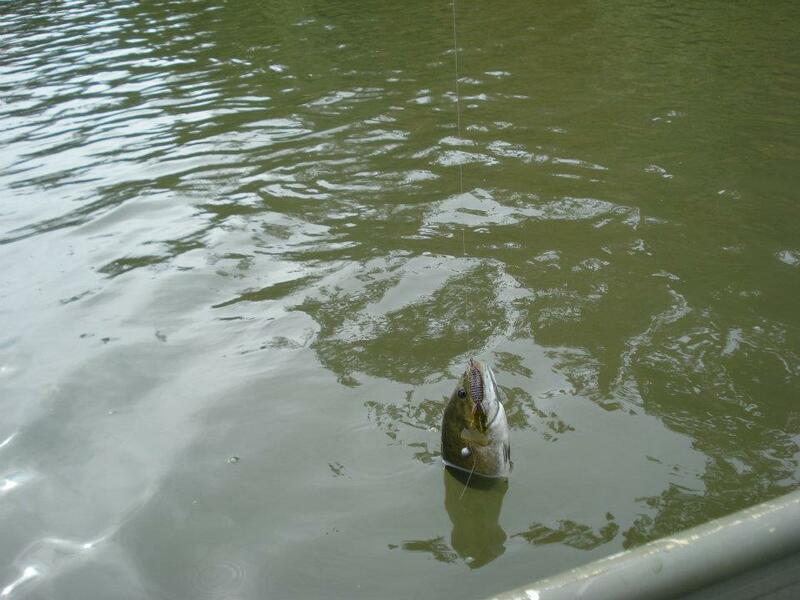 At this time, Chris baited up a big Zara Spook topwater lure and casted in the middle of the splashes. All it took were a couple of twitches before his bait was smashed by what ended up being a 4 pound bass, easily our biggest of the day. We went out that evening after the tournament and proceeded to catch fish after fish on topwater lures in the middle of the lake. I've never seen anything like this in any other bass lake since. Look for rocky shoals and drop-offs to hold bass in St Mary Lake. Make sure to take a few casts in the reeds in case the fish are shallow. I have some bass fishing buddies in the Lower Mainland that make a regular trip out to St. Mary Lake each year. Although they usually go in November, the weather is often mild and the fish still active. Salt Spring Island has some of the mildest winters in Canada, which makes St. Mary Lake a great option when the lakes in the interior of B.C. are chilly. 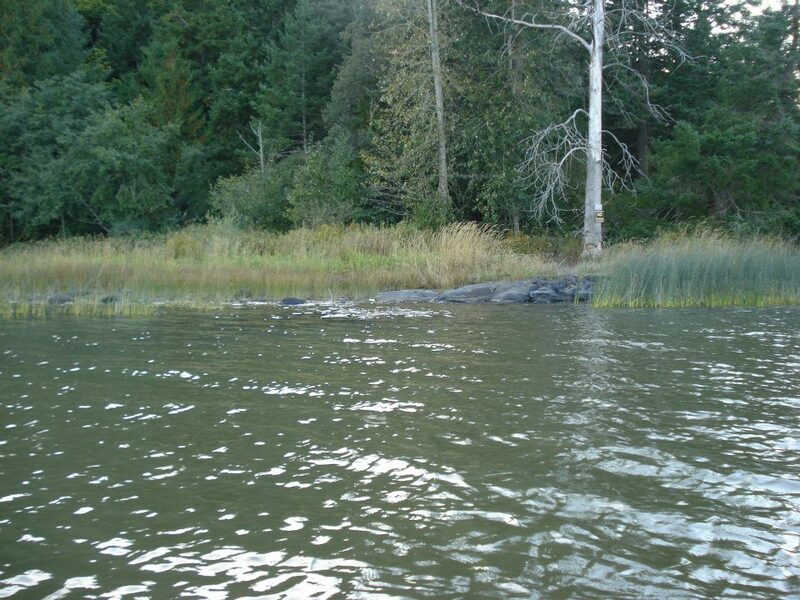 There are cabin rentals at Maple Ridge year-round and can accomodate up to 8 anglers comfortably. These guys have had great success using tube baits and grubs, while drop-shot rigged worms and leeches have also been hot baits in the past. I recommend: Berkley Power Tubes or Tournament Edge. I recommend: Berkley Beast in 3" or 4"
A good-sized St. Mary smallmouth caught on a drop-shotted beaver bait. Big thanks to John Kim for all photos. Special thanks to everyone who voted St. Mary Lake the 7th best bass spot in Western Canada (with 8.8% of the vote) on the Pacific Coast Bass Association website, Bass Anglers of BC facebook page, and Bass Fishing BC website. Stay tuned for #6!